Yes! I loved this deep and twisty and complicated story about family and secrets and what really happened and all that history stuff. This was very well plotted and written and I couldn't put it down. I first thought I had things figured out and then I changed my mind (three or four times). Really, it kept me guessing right down to the final chapters. I really enjoyed it. I have to admit, the ending, despite being quite surprising was a little bit too much. Stretched a bit too far? It felt very different from the rest of the book, in that it was a bit unbelievable, if quite a good fit for the story. Still, I enjoyed it very much and need to get myself more Kate Morton right away! 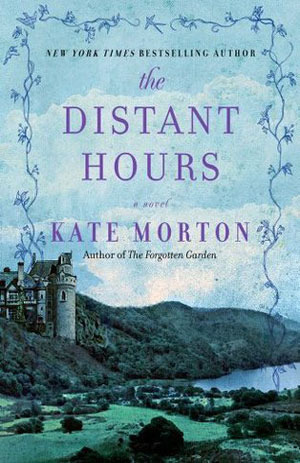 I've only read one Kate Morton book but I need to read more...all of them. I love long epic family secret books. Keep em coming, Kate! Yay! I'm glad you enjoyed Morton. I've read and loved all her books. Yes, they're all kind of the same, but I still adore them. There's nothing like a good, juicy family secrets/saga story to keep me riveted!